Cheating has always been, is and will be. It can not be stopped. But stop being a victim of deception you can! 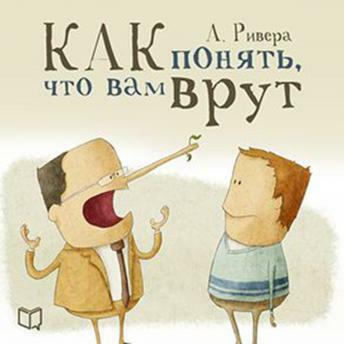 How to understand that a person lies to you, in the shortest possible time? How to become a skilled fishers of human lies? How to learn to see a person right through? The answers to all these questions can be found in this book by AB Publishing. In addition, you will learn a lot of interesting things about the psychology of lies and deception. Suspicions will stop torturing you. You will no longer blindly trust anyone. You will begin to just live. Live for real. Because deceit and lies will not have a place in your life. And the most valuable things - dignity, trust, money, time - will be under the reliable protection of your Knowledge, which will be impossible to take away from you to anyone.